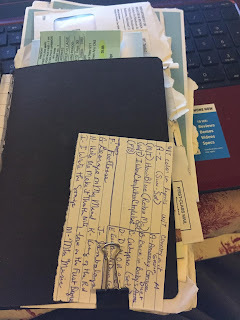 The Blog that explores the adventures and exploits of the Mountain Genealogist. "In all of us there is a hunger, marrow-deep, to know our heritage, to know who we are and where we have come from. Without this enriching knowledge there is a hollow yearning. No matter what our attainments in life, there is still a vacuum, an emptiness, and the most disquieting loneliness." Sunday Singing in the Old Time Way! Is Saving to the Cloud Really All that Great? Just How Do You Get Everything Done? Subscribe To Our Family Newsletter! 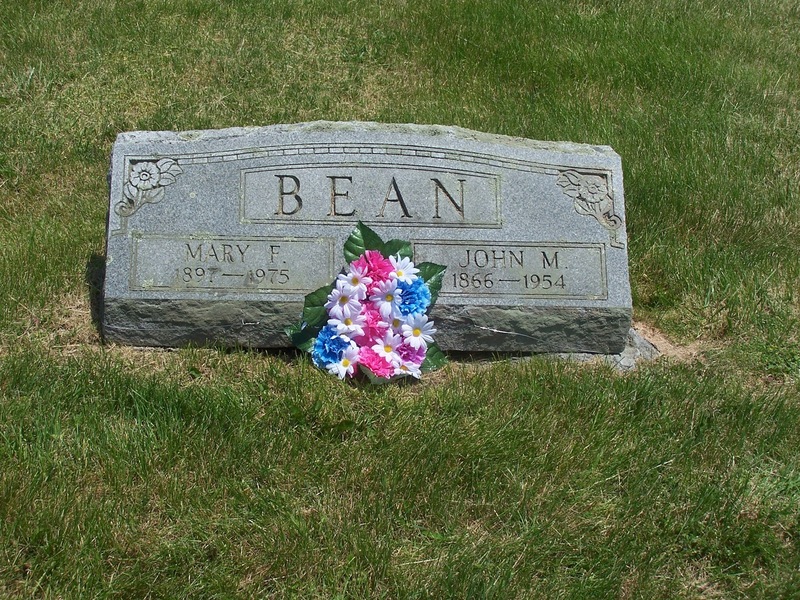 Receive the monthly edition of "The Monroe Bean's". 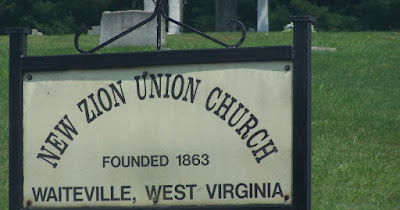 This monthly newsletter is based on the descendants of William and Rachel Bean of Monroe County, West Virginia. 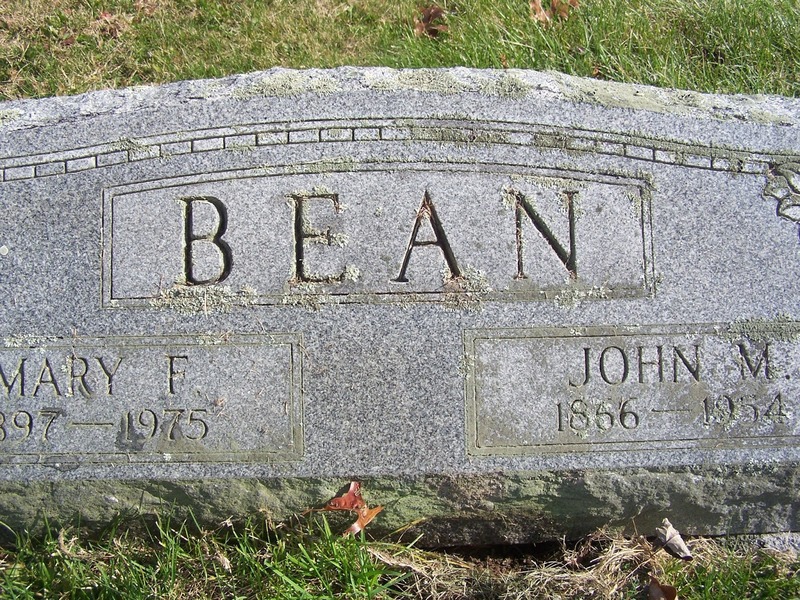 But we have many subscribers who receive our newsletter with ties to Monroe County that are not descendants of these two! Come and enjoy our short newsletter! Come visit our gift shop with items imprinted with our logo, or with the Celtic Tree of Life you see in our logo! I don't do this often, except when I am really impressed. Today I came across a genealogy web site that did just that. This is a great article. And I think you will find it informative for assisting you in keeping track of some of your finds. Also, you will note that in her most recent post, Genealogy Girl will be starting a June Photo Challenge on the 1st! Sounds very interesting, and I may just have to participate! So be watching for updates and think about participating yourself! Now, go forth and enjoy! We have a new granddaughter coming in July!!! Our 14th grandchild! And I'm not even 60 yet! So we are thrilled! As each grandchild has entered into the world, I have made one tradition. That of presenting the new Mother with a Our Family Tree book, to be passed down to baby when he or she gets older.. 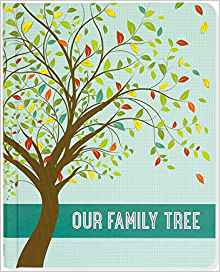 These wonderful, fill in the blank, family tree books are a great gift for a new baby for their future when they become more interested in where they came from. I have purchased the ones I use from either eBay or Amazon. And they take a couple of days to get photographs together and the family tree filled in, and answer questions regarding where the family has lived, and what the grandparents did, etc. Here's the current one at Amazon.com. 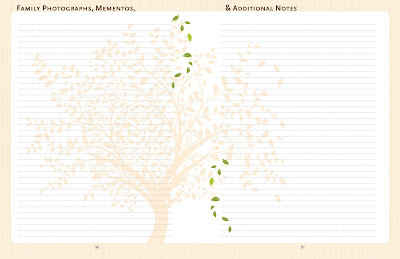 There are large areas for filling in names and dates, which makes it nice no matter what kind of handwriting you have. And it will last for a lifetime. Something your grandchild will pass down from generation to generation. I also have used these as door prizes for our family reunions, to get others interested in doing their own family research. With summer coming, and family reunions getting ready to fill the season, I hope you find this a great door prize for your family reunion. Also great for new babies. A new son or daughter in law. Weddings. Anniversaries. Graduations. Just an all around great family gift! You will find this one listed below. a day on which those who died in active military service are remembered, traditionally observed on May 30 but now officially observed on the last Monday in May." However, here in the Appalachians we not only use this day to celebrate those who died while in Active Military Duty, but we use this day to memorialize all of our dead. As a rule, families gather and head to cemeteries on this weekend's Saturday and we "clean up" those cemeteries that don't have regular care. And we place our wreaths and flowers on the graves of our loved ones. So, up here in the mountains, everybody gets Memorial flowers on their graves. Not just those who died in active duty. Those who did die that way usually have a flag flying as well. It's been awhile since I've been back here. This is my sweet Mommy's tombstone. That's a picture of her and my Daddy on the stone. Daddy is still with us. He'll be 81 in August and still going strong! But we lost Mommy three years ago in July. I haven't been able to come here very often. I know some of you will understand. Losing your mother isn't easy. No matter how old you are. And every time I go here, it's like ripping a bandage off of a terrible wound. I bleed. And I weep. And I mourn like it just happened yesterday. Mommy was a U.S. Army (Women's Army Corps) veteran, and was buried with full military honors. Daddy is a 21 year veteran of the U.S. Navy. It isn't easy going to this place. But it's bittersweet as it gives us pause to stop and reflect on the life of this woman who did and taught us all so much. A wonderful humanitarian, she didn't know the difference in skin color. She didn't know what inequality was, to her everyone was equal. She gave and gave, and even when she had nothing to give, she gave some more. She never turned a hand away. If you have a mother who is in heaven today, I hope, whether you can visit her graveside or not, that you will stop and give a few moments in thanks to the One who gave you such a special blessing in your life. Because once they are gone, you grieve forever. Be safe this day! Enjoy your barbecue, probably the first of the season! And remember those who gave their lives in honor of this great country of ours! God bless you all! It's time for church ya'all! Come on in, and have a sit! We've got some grand old hymn singing for today! Ya'all just sit back right there and enjoy! I expect a little toe tapping, hand clapping, and I wanna hear some 'hallelujah's', and a few 'Amen's' thrown in there! Okay, so one some things I'm dumb as a box of rocks. I'm also at an age where I don't care to learn a lot of new fangled ways to keep my photos. Those are things I really want to be available to me when I want them. When I told my iPhone to keep my photos taken with it on the Cloud, but make available to me, I thought okay. So I have this single iCloud account. I will be able to access the photos on both my iPhone and my computer. Right? Well, NOW I am. I spent forever learning how to do this. So, just in case someone has a box of rocks for brains, like me, let me tell you what I had to do in order to access my iPhone pictures on my laptop. It all boils down to syncing my iPhone and laptop together in order to access the two. Yes, literally my iPhone had to "tell" iCloud to sync itself with my laptop and allow it to access the photos. Once that was done, I can now access the photos. 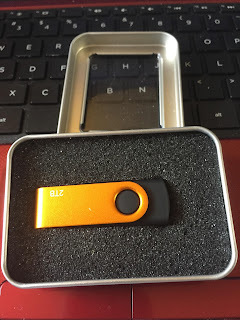 And I can download them into my files on either my laptop, or onto a thumb drive for later retrieval, while still keeping a copy in the Cloud. For sake of brevity, here is the article that helped me the most. Read it here. I hope you have found this information helpful! If so, please comment below! 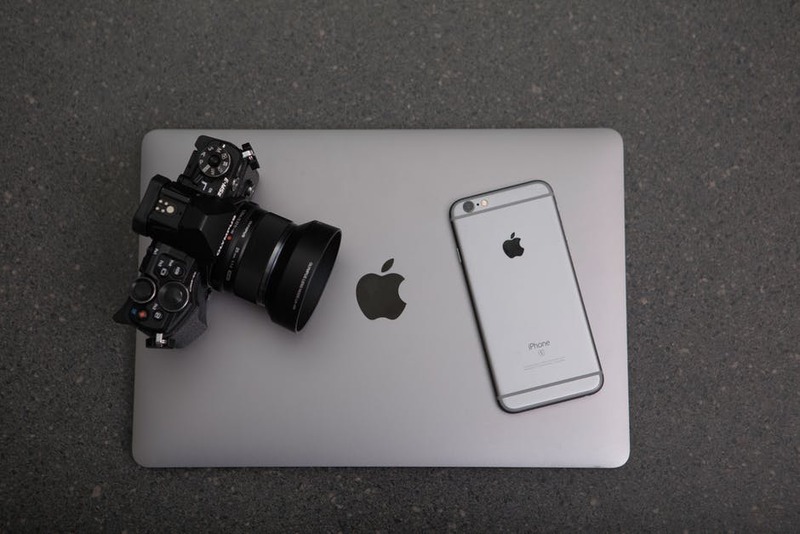 Here's a great book on syncing your Apple devices. A must have for your bookshelf reference library. A long while back I copied a short cut cheat sheet and laminated it. It stays on my desktop, under my laptop when the secretary is open. When I put my laptop away, (okay that's a joke, I seldom ever do that, but when I do) it goes in the single drawer of the little desk. (That little desk will make its debut on here sometime. A lovely little handmade secretary desk estimated to have been built by an amateur cabinet maker about 1770-1800. Still wearing its original black painted exterior and red painted interior. A gift from my Mother many years ago.) But I digress. Below is a copy of the cheat sheet that helps me keep several blogs running. As well as getting me through my doctoral thesis! I hope you will find it helpful. I wish I knew who to credit this to. But I've had it for years. It's been saved on every computer I've ever owned. I simply keep transferring it forward. I see some online that are similar. And I even saw one on Pinterest that I think is the same one, but there is no credit to who actually did the chart. I'm pretty sure if you click on the chart, it will take you to a copy of the original size of the document. Which will make this easier to copy. Or if it doesn't you can email me, and I will be happy to send you a copy of the jpeg file. Thank you to whomever originally did this! I use it all the time! Here's a great book available that you can purchase with keyboard shortcuts if you are interested! Or you can also purchase a laminated copy that contains the above entries here as well. If you have found this information helpful, please leave us a note in the comments! We'd love to hear from you! While perusing Pinterest the other evening I came across a link to a site that had a slideshow of rare historical photos. I am certain you are going to want to see this! A slide show of 46 photographs depicting a variety of historic accounts and events from the Civil War through the 20th Century. 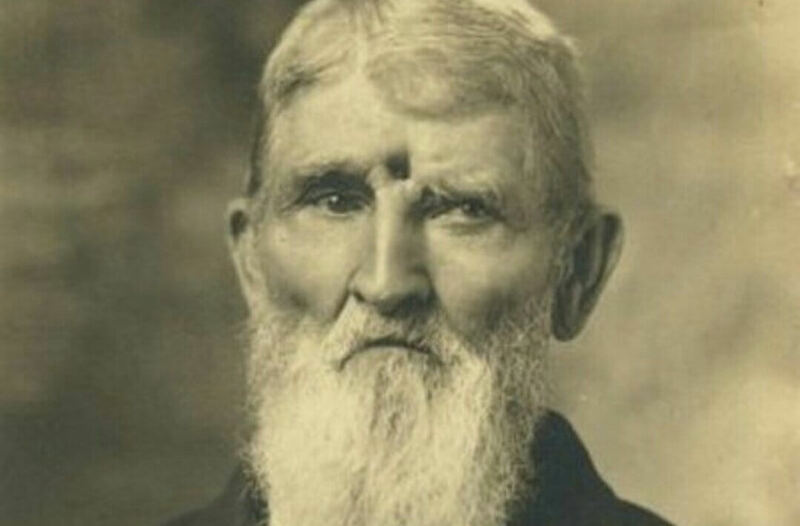 The gentleman in this photograph had been a Union soldier during the Civil War and was shot in the head during a particular battle. Fragments of the lead came out several times over the year. But he appeared no worse for his wound other than the hole in his forehead! You can view the slideshow HERE. Okay so you've had a DNA test done. And the results begin pouring in. But which one should you really pay attention to! It seems like you are getting thousands at once at times! Most have 12-marker matches, or 24-marker matches. But the ones you want to watch for are those where you are most likely to have a common ancestor within 3-4 generations, and the ones you are most likely have that close of a relationship to will be 60-marker matches. Once you go past the 3rd or 4th cousin line, you will find it harder and harder to make a match. 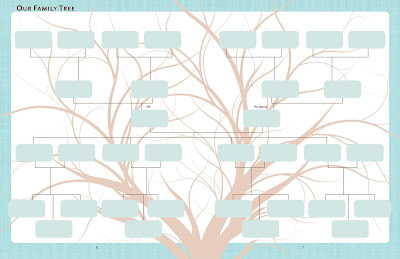 First, contact the person if they have not listed their family tree for perusal. Ask if you can get just a straight lineage for their ancestors (parents, grandparents, gr-grandparents, gr-gr-grandparents, etc.). If something matches after about the gr-grandparents or gr-gr-grandparents, you build on it from there and begin sharing information with one another. 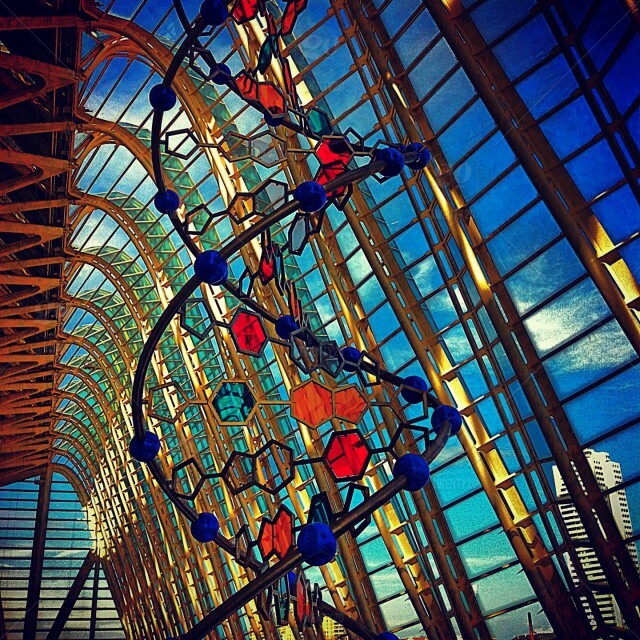 "If you’ve taken an autosomal DNA test at 23andMe, AncestryDNA, or Family Tree DNA, you likely have a long list of genetic cousins. After sequencing portions of your DNA, the testing company compares your results to the results of other test-takers in its database. If you share enough DNA with another test-taker in the database, you’ll see that person in your list of matches. The company evaluates how close you might be to another test-taker based on the amount of shared DNA. 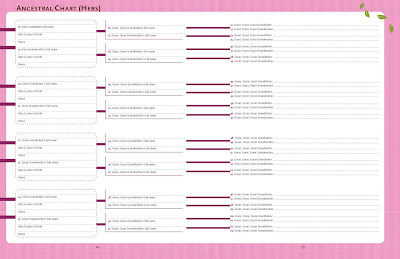 See the image for a sample list of AncestryDNA matches (with usernames blurred for privacy). In this guest post, Blaine Bettinger, DNA expert and author of The Family Tree Guide to DNA Testing and Genetic Genealogy, shares a quick tip for identifying your DNA matches with the best chance of aiding your research. For test-takers with ancestry in well-represented areas (such as Europe), the list of genetic matches may be thousands of people long. A few of those matches might be close, but most will be distant matches who share just a small segment of DNA. 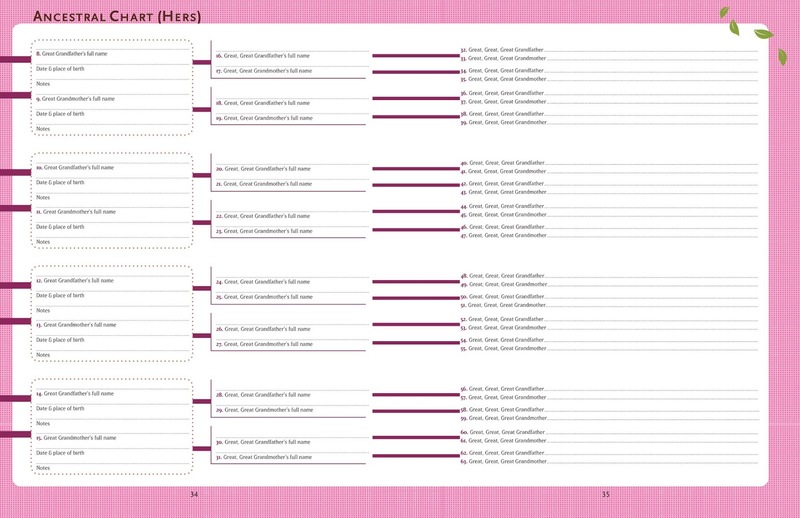 How should you process all those matches? 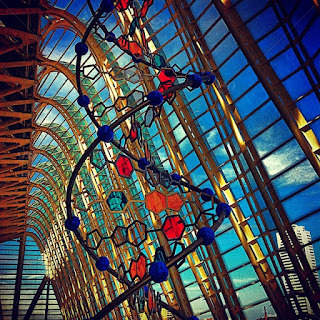 Which ones should you focus on to attempt to find your common ancestry? Focus on your closest matches first to increase your chances of finding family members and learning more about your family tree. 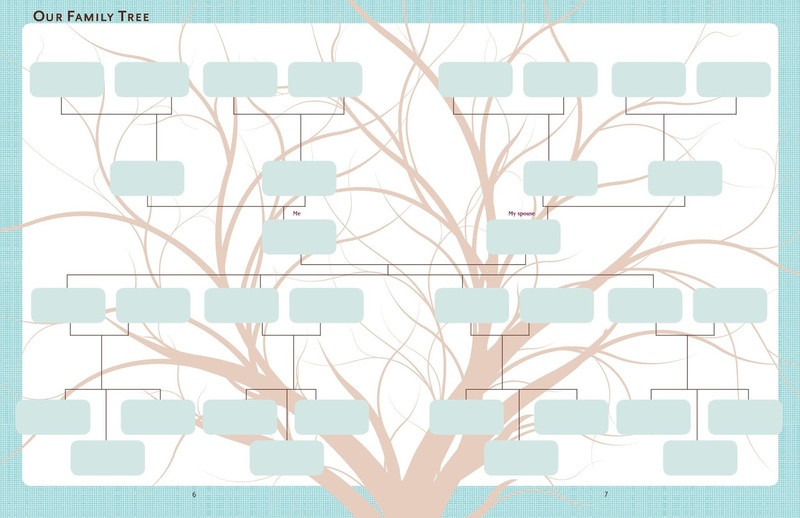 If you’re lucky enough to have a predicted second cousin or closer, review that match’s family tree (if the match has provided one) for familiar names or places from your own family tree. Since the relationship is so close, you may only need to build his or her tree out for a couple of generations. 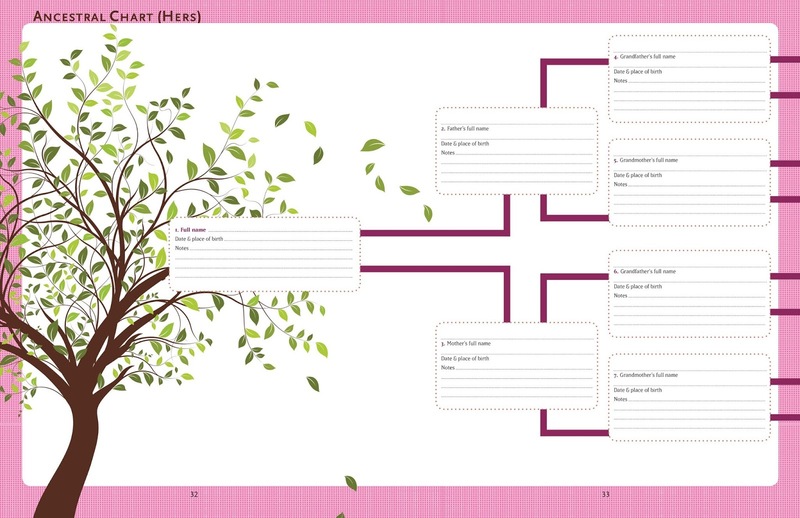 If the match doesn’t have a family tree, you might be able to build one for them or contact the match and ask for one. What do I mean by your “closest” matches? Simple: The ones with whom you have an estimated relationship of fourth cousins or closer. You have a pretty good chance of finding common ancestry (such as a great-grandparent) with second cousins or closer, and a decent chance of doing the same (i.e., finding a shared second or third great-grandparent) with predicted third and fourth cousins. Beyond predicted fourth cousins, however, you’ll have difficulty finding a common ancestor. In most cases, you’ll only want to pursue these more distant matches if you have additional concrete evidence that you share ancestors." This all excellent advice and I hope it helps when you begin receiving your test results! If you haven't done a DNA test yet, you can order your test from Ancestry.com HERE. How to Make Sense of Notes to Get Them Into Your Program? This is probably the number question I am asked by someone who is just starting out on this amazing journey of discover. And it is probably one of the most important things you need to understand so that you CAN make sense of it all to get it into your program, and make sure you can document sources and citations. I use forms. ALOT of forms! I learned years ago from watching one of the many free online classes offered by Ancestry.com just how important it was to use good forms to keep track of everything you do. First, with good forms, you won't end up repeating searches in places you've already searched. Let's face it, sometimes you might go through dozens of online repositories in a single day/ Now be honest, how many times have you found yourself using a search engine and going right back to some of the same ones the very next day? Come on! Don't be shy! No judgement here. But it could have been easier if you'd simply kept a research log. Be cause these sites are often updated every couple of weeks, it's okay to go back in a few weeks to check again, but you really don't want to check it daily! FamilySearch.org has quite a few listed HERE on their wiki page. 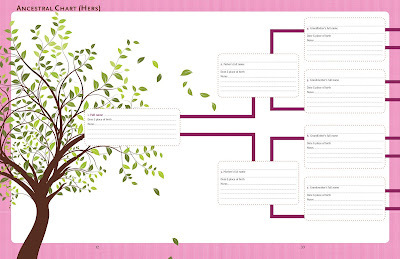 And FamilyTreeMagazine has 61 forms that you download HERE for free as well. Good organization is the key to successful research on any project! All of the above forms are available for free download to print. I use them. I simply print them off at 5-10 at a time and keep them in my research notebook. But if you prefer, you can purchase pre-printed forms from Amazon.com. While, yes, I would make a percentage off the sale if you purchase this packet, there are only 50 forms included in it. And unless you don't have access to a printer, I think you will find it more economical to save the files above and print yourself. 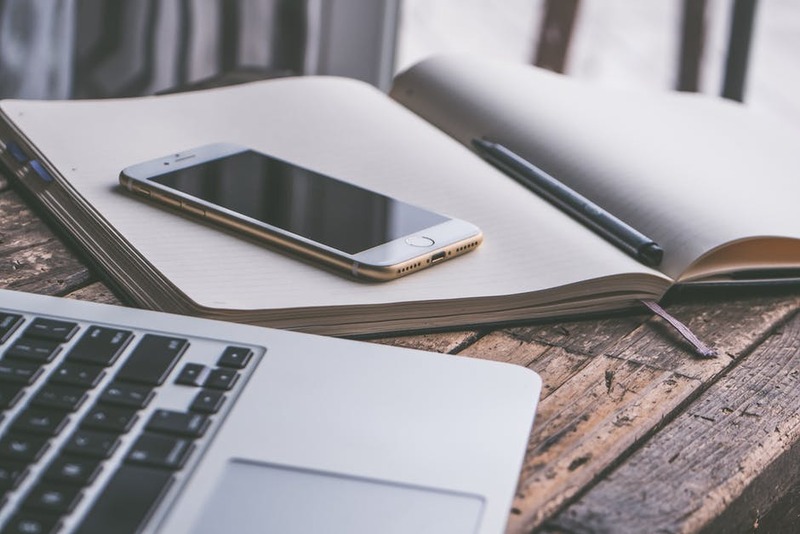 After you've completed documenting your information, what do you do with all of the forms when they are no longer needed? Well, once you have transcribed your date, and triple checked that you have everything in place (data, sources, citations, bibliography, etc.) then you can destroy those printed off sheets if you like. I do recycle mine, as I only print on one side. I cut the pages into quarters, use a heavy duty stapler, and I staple the quarter pages together, blank side up. 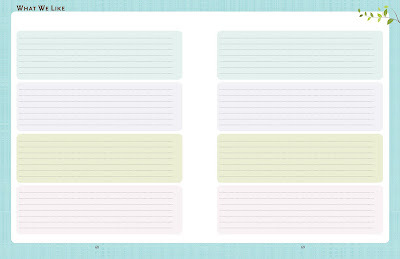 These make fantastic note pads! Use them by your computer, by the phone, in your purse or tote bag, in the car, etc. They are great for shopping lists. I hope this has helped you some! If you found this article helpful, please remember to share it, and leave a comment below! You all know by now that I am an ordained minister. And there's nothing I like better than singing on Sunday afternoons to pass the time! I could do it for hours! The old hymns just thrill me! Here's a little blast from the past with about 28 minutes of the old Hee Haw Quartet singing some old time gospel favorites! So sit right back, and enjoy! And ...I think you can figure it out from there! I hope this helps make it a little easier for you to figure out. And yes....I give you my permission to print this out and laminate it if you want! Here's some great, easy laminate to use. These would be the perfect size for printing and laminating small items like this! 1) Here I have taken a photo of both the church, and the cemetery sign as they are beside of one another. 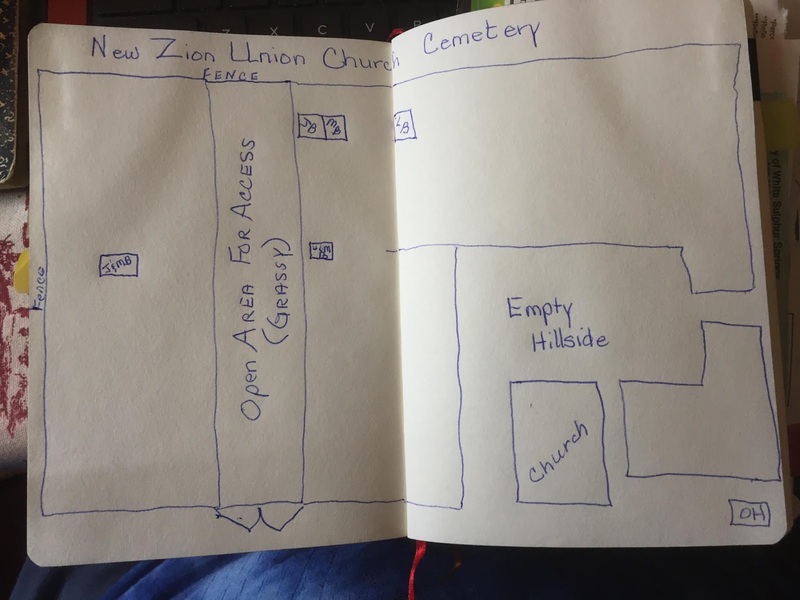 There is only one other church in Waiteville, and there is no cemetery at it, but decided this would confirm the site should in the future that ever change. 2) Take a photo of the tombstone standing back a bit so that you are sure to get the whole stone in. This will give you a good view of the size and shape of the stone. 3) Take a close up of the stone. This way you will be able to get a good look at the engraving and be able to read it well. Unfortunately, this stone needed some good cleaning, and unless you know that John M died in 1954, you couldn't tell it from the close up. 4) Take a wider shot of the area where the stone is located. Or of the section of the cemetery where the grave is located, in case it's a large cemetery. This will cut down on the search time for it tremendously. And yes, I realize in this day and age where every one is using their cell phone that most cell phones have a geo-locator you can use. However, in this particular cemetery, that wouldn't help, as there is no cell service here. (It's actually a military zone where cell towers cannot be built.) And, as I said, I read the article last year, well after I had taken these photographs. So, there isn't a wider shot. 5) Lastly, be sure to take photos of the neighbors! The stone to the left and to the right of the one you are interested in. A good way to locate the stone you want, is knowing who the "neighbors" are! Ever gone looking for a house number, couldn't find the number you were searching for, but found the house number before it and the one after it, so the obvious choice is the one in the middle? Same premise here. If you know who is before and who is after, and find one or the other, you know you're in the right area! It's also a good idea to carry a notebook and pen or pencil to record where the stone is located. I see a lot of small cemeteries. No plot numbers or permanent caretakers, so you have to hunt for stones. I like to draw out the cemetery in general, breaking it down into visible sections. This particular cemetery is located on a VERY steep hillside. I would also make notation of that, and that it can be particularly dangerous or slippery when trying to walk on the grass when wet, or there is snow or ice. (I take a walking stick or cane with me when I go no matter what the weather!) Oh, and notice the little square on the bottom right marked "OH". Well, that's because there is a very, very nice, well maintained outhouse there. Wonderful if you're going to be there for very long! I would also make note that all of the trees were recently removed from the cemetery, in case someone who had been there before would come back again and think they might be in the wrong location. I actually take a backpack with me when I go to the cemetery. For camera, notebook, pens, water for wetting stones (sometimes helps to read them better.) and water for drinking. As well as a snack, such granola bars or a banana, to help keep energy up when it starts to flag. Hand sanitizer or wet wipes. And a bottle of Tylenol or ibuprofen. Along with a foldable hat to prevent summer sun beating down on your noggin. Or a toboggan cap for winter. I hope you have found this somewhat helpful! And below you'll find one of my all time favorite cameras on sale! Get everything pictured at a great price! Yes, once upon a time I had a home office. I really did! 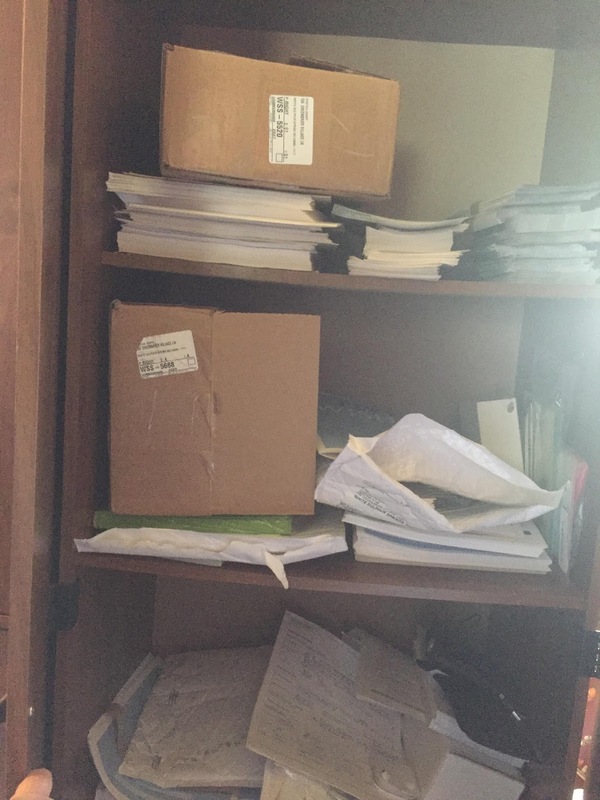 With file cabinets, shelving units for the many binders of family ephemera and copies of records I had meticulously copied, printed, or purchased. Shelves were pretty much filled with books on genealogy and historical data pertaining to records that when I first began doing this, were available only through someone's efforts to catalog them in book form, or you had to travel to far and exotic courthouses and dig through musty old records to locate! And then there were the cupboards. Oh yes. My cupboards. Those half hearted places where I neatly stacked blank census forms, family worksheets, file folders waiting to be filled, boxes of archival sleeves, and reams of copy paper for my printer, along with extra printing cartridges, etc. Yes, I know! Thank the Lord for those cabinet doors! It hid a wealth of office sin! Oddly enough it worked fine for me for nearly twenty years! It really did! And then, this past December, I was offered something I could not turn down. 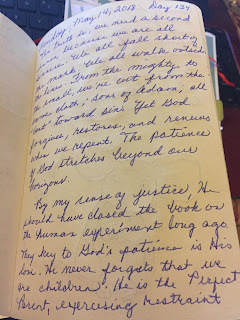 With my husband nearing the big 7-0, and me just ten years behind, we began contemplating on finally finding a permanent home. We've traveled, and we've owned homes. But we never stayed put in one place for too long, until the last 10 years. And we were also the quintessential "hippie's", in that we always decided to let tomorrow take care of itself. And now here we are. He is on Social Security and I am looking at retirement age fast approaching without any retirement and praying Social Security will still be there when I reach it! Thankfully, a blessing was given to us this past December. My sister purchased an historic railroad depot, that sits way out in the country. (I mean ISOLATED!) And she intends to restore it to its original condition. The railroad has long since been gone (1932 saw the last of the tracks torn up.) But the 12,000+ square foot building is still in very good condition. And it sits in my family's historical home town. When I say hometown, there isn't a town there any more. A few families still live there, but the little community is mostly comprised of summer and hunting camps. The population is less than 400. There are no convenience stores. The closest one is 10 miles away. The closest grocery store 30+ miles away. No cell phone towers, so no cell service. No cable tv. Only antennae available. Or satellite. Some people do have DSL service for Internet and I am told that may be available if there's a "slot" in the main phone box for it. Otherwise, we are looking at satellite service, or dial-up (horrors!). But my sister wanted the building for our family. What a great place for family reunions and retreats! (Her husband's maternal family is also from the tiny hamlet.) I was in seventh heaven when I found out she purchased the place! But what came next stunned me! (And it still does!) 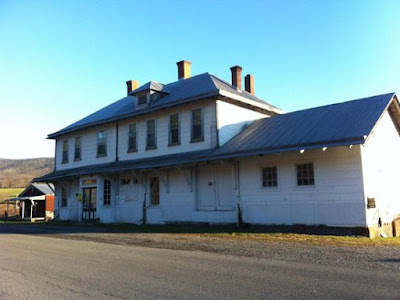 She offered me a home right beside the depot if we, my husband and I, would consider being caretakers of the building. Someone there to prevent vandalism. And to offer tours once the restoration is completed. A home for life! Yes, you read that right. There was a small caretaker cottage there when offered. Unfortunately in February we found out the foundation, floor joists, and half way up the sides the framing was rotten. It could not be salvaged. Alas, the little red cottage had to be torn down. But the plan is to build a somewhat tiny home for us to live in where the cottage once stood. 768 square feet to be exact. Really, plenty enough room for 2 old coots to live! But we are downsizing from our 1,000+ square feet to move in there. And my office has had to be downsized as well. And I've been diligent to get that done. While the home won't be finished yet, we are going to go ahead and move over the end of June, and live in a 32-foot camper trailer until the house is completed. (Uh, yeah!) Our belongings will be stored in the storage (old freight room) room at the depot until the house is completed. So, I had to take a serious look at what I wanted to keep, and what I could toss. It came down to practicality. And how did I digitize my documents and papers? Well, it took a little while, but it was really a lot easier than you might think! This is ALL I used. Yep. Honestly. No expensive companies. No expensive equipment. I simply used what I already had. Large legal sized papers were photographed with a high resolution using my digital camera. Regular sized documents, notes, letters, and photographs, were photographed with my cell phone, again with a high resolution and at original size. No cropping needed. I simply then uploaded everything to my laptop, placing it all in organized folders and sub-folders as I went. It really didn't take as long as I thought it would! These little babies are what I use. You notice the protective metal case this one is in? And the USB thumb drive folds and nestles inside a pocket of foam for a safe ride. 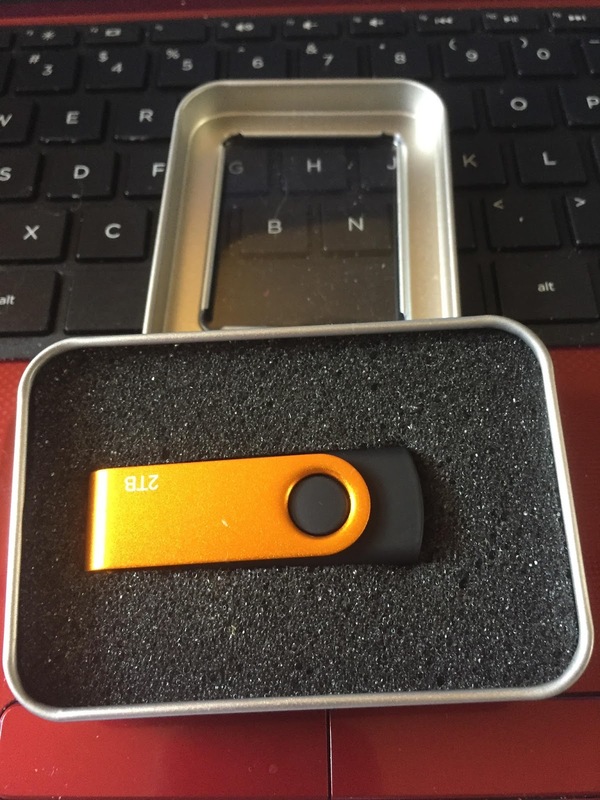 You will also note that this is a 2TB thumb drive. Way more than I needed, but I didn't know how much more I might need in the future! I have 2 of these. One is kept in my "go-bag", my emergency to go bag. It holds my laptop when not in use, as well as passport, ID, and a single change of clothing and travel size toiletries for hubby and I. It is literally an emergency bag to grab if the house were on fire and we needed to escape in a hurry. (I've always had a fear of being caught naked or wrapped in a sheet or nighty if needed to evacuate in a hurry!) The second is kept in a fire proof safe. Both are backed up on the first day of each month. They also contain mirror images of my laptop in case of malfunction. (Yeah, I've been down that road too many times!) I am still suspicious of the Cloud. Call me too old to change that any time soon. 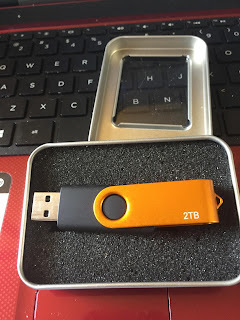 And while I have used online storage in the past, and was glad to have it when needed, found it an expense that is easily remedied this way now. And yes, I may eventually opt for a third thumb drive to store over in the depot when we get moved, away from the house. Again, just to err on the side of caution. So, what does my office look like now? Well, my bookshelves are a little less bare in that I went from 18 (6-inch) binders, down to only 4. But my books? My precious books? I still have them. I won't part with them, unless it is to donate them eventually to the local genealogy society. They may find use for them. I have garnered the use that I can from them. But I just can't bring myself to part with them just yet. They are currently packed in boxes, awaiting our move. With so little space, bookcases will fill both our living and sleeping space! But my office? Well, there aren't any file cabinets now. I do still have a printer. A very simple little printer. 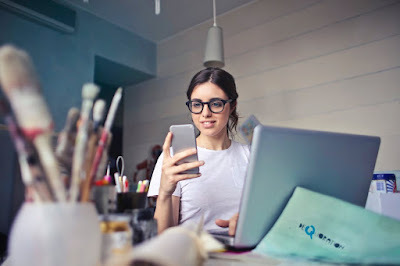 It can connect to our telephone line and be used as a fax as well, when we move and no longer will have need of cell phones! (No cell service, remember?) 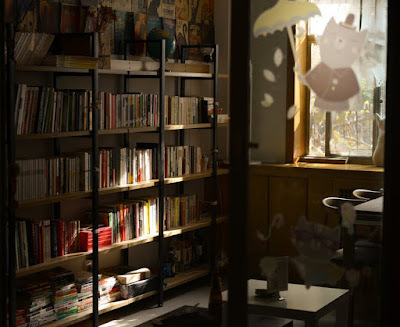 It can easily sit on a side table in the living room, tucked into a corner. As for my office? It's really quite simple now. Would you like to see it? What's that you say? Where's the office? Well, this is it. I can sit quietly in the living room with this on my lap. Or I can sit at the kitchen table. I can carry it over to the Depot when I want. Or to McDonald's if I want. (They have great Wi-Fi. Or to the library while doing research. Again, great Wi-Fi! Although McDonald's will be an hour away, and the library 40 minutes away!) My options are limitless! It's been a little like tossing away pieces of my soul at times as I got rid of the paper clutter. Some of those papers I've had for over 20 years! But they live on inside these thumb drives and my laptop. I need only make a couple of clicks and I can see anything I want. And you know what, I just might like that a little better after all! No more pouring through binders to find just the right binder and then searching through 6-inches of documents to get to the right one! This technology thing, you know, I think it might be okay after all! I kind of like the freedom to have my "office" anywhere I want it to be! Where have all the old ways gone? 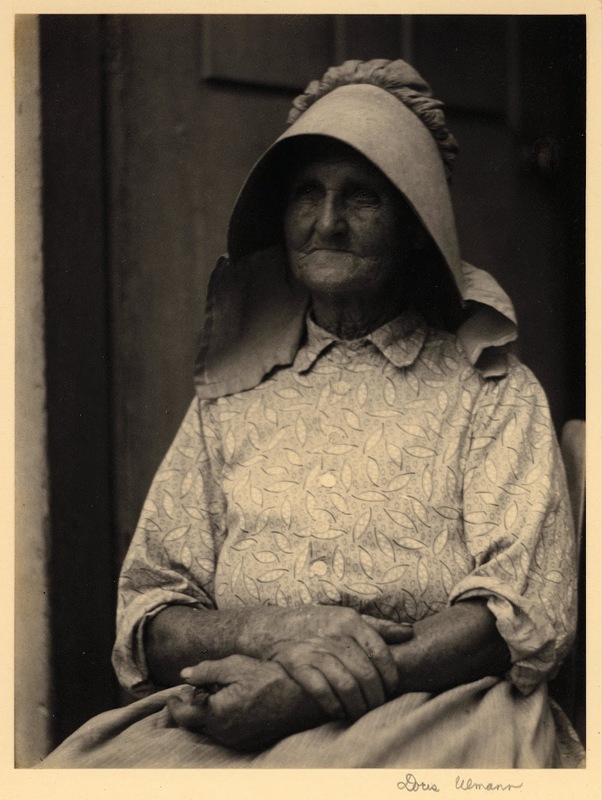 I see photographs like these, and I remember as a teen seeing women work in their gardens in just such a sunbonnet. Goodness, I even owned one once upon a time. With a matching dress. Made out of brown calico, my Mama made it for me as a costume, but I wore it often, not usually with the bonnet, but I did wear the dress for several years. The sunbonnet was just what its name implied, a bonnet with a broad brim that protected a woman's face from the sun as she labored outside in the summers sun. What? You thought the women worked indoors and the men did the outside work? As my Grandma Bean would have said, "Awww, pshaw!" 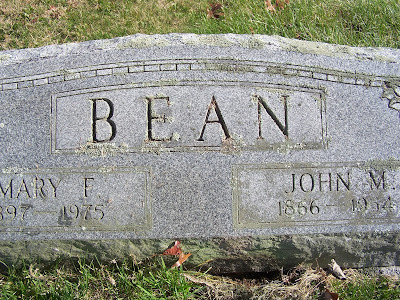 My Grandma Bean came to live with us when I was 5 years old. She spent a lot of the first few years talking to me about her youth, and the old ways. I think of these things now, as I near the age she must have been then. I remember in the spring gathering the dandelion greens for wilted greens. Or dandelion tea. Dandelions are high in iron and are a perfect natural use for regaining lost iron in women of child bearing years. The old folks would eat the dandelion greens either as a salad or wilted, or drink them as a tea. They were "spring tonic" and every young girl knew how to make it. My Grandma Dreher allowed cobwebs to linger in the corners of her high ceilings. They were a great way to make cuts "knit" closed. I saw her once cut the back of her hand pretty badly on a sharp bed rod (the rod that sometimes holds the two sides of a modern bed frame together.) She simply took the handle of the broom and gently removed some cobweb from a corner, (that's cobwebs, not spider webs!) and lay it over the cut. It caused the free flowing blood to clot almost instantly. She lay several layers of this over the wound. Then she tore a petticoat into strips (yes, a slip was called a petticoat back in the day), and she wrapped a cotton strip from this around the hand. She had a very fine thin line of a scar. No physician could have stitched it to look it any better. My Mama never bought cough syrup as we were growing up. She'd have Dad buy a pint of whiskey (Mama was a tea totaler Southern Baptist to the core! She would have died before walking into a liquor store!) She would mix honey, lemon juice and whiskey and she made her own cough syrup. She used a minute amount of whiskey, to be sure. But it cured our coughs. And me? I am a hot toddy woman. My children were given hot toddies when they were sick. And I drink them to this day when I am in need due to cough, cold or flu. I even have a hot toddy for pain, well, that's a little stronger when taken with acetaminophen or ibuprofen, but it does the job when traditional pain medication is not available. I also pick up every coin I find lying on the ground. Even if its a single penny. As we used to sing when collecting pennies to be sent to the missionaries for church, "Pennies grow up to be dollars!" I also knit, crochet, quilt, and love making my own clothing! I love cooking from scratch as well. Sometimes the old ways, even with all of our many conveniences, just hold no appeal to me. In June I am moving to a tiny community that lies in a valley in West Virginia, where we like to tease and say they have to pipe in the sunshine. Cell phones don't work there. And there is no cable tv or regular internet. And you know what? I can't wait to step back into that older way of life. When we go over to work on the place, neighbors drop by "just to say hello and see if ya need any help". Gardens are plowed and disked already, and getting ready for those potatoes to be planted over Memorial Weekend. The old schoolhouse, now the community center, will hold its annual community dinner where everyone brings a dish and a dessert. From my back door, I'll be able to look across the valley, and see the hillside where my family lies in the cemetery. There's my Mommy, my Grandma and Grandpa, my great-grandparents, my great-aunts and great-uncles. My aunts and uncles. My cousins. And one day, someone will walk by and I'll be at my Mommy's feet. (Well, actually at my sister's feet, but she'll be right beside Mommy.) My family will all be together there. Just like the old ways. And that's just how it should be to me. If you are interested in learning about the old ways in the Appalachian area of our country, The Foxfire Book series is an excellent way to learn. The first book was published in 1972, and is still available on Amazon. There are over 20 books in the series, and a re a real treasure! You can purchase Book One below if you like! Okay, so here's the question I get asked most often: "How are you getting so much done?" Do what? I feel like most of the time I am simply spinning my wheels getting nowhere really fast! 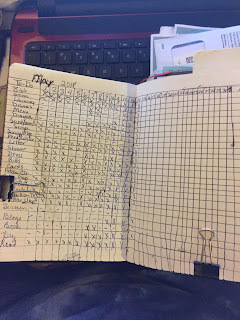 But then, I take a look back through my "War Book", and I see that in reality, I have got so much completed in some days that even I am amazed at how much I was able to complete! The truth is, I do have a "War Book". 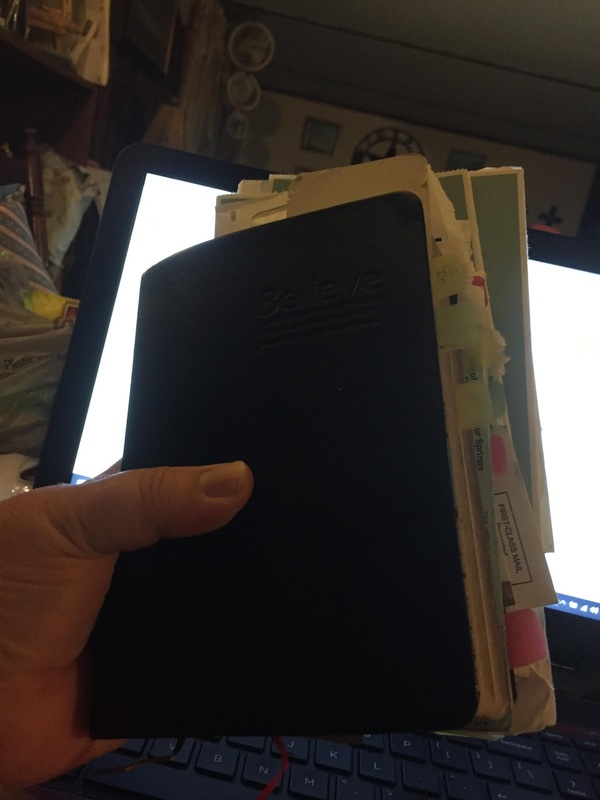 It's simply a journal/planner. I am really big into Bullet Journaling (I won't go into how to set one up; Google it for goodness sake!) And I am a list maker. 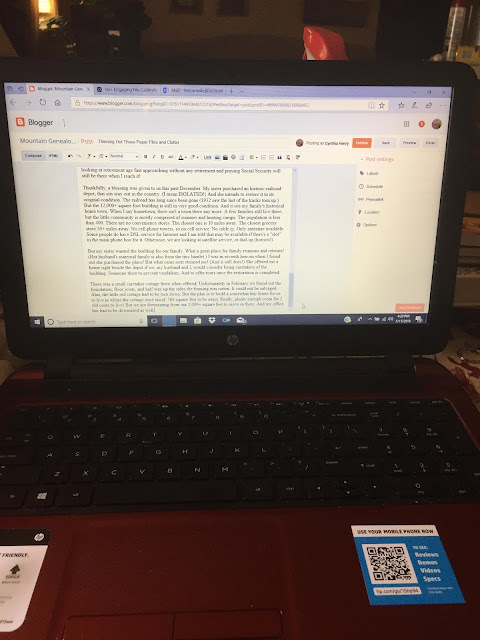 This page covers two pages actually, and is broken down into routine daily housecleaning and work related tasks that MUST be done daily to keep my ship sailing smooth! I do a lot of writing, so my blogs are all there, as are tasks for genealogy business and new business matters. I make sure I start my day with prayer and Bible study. It's what keeps me going strong! 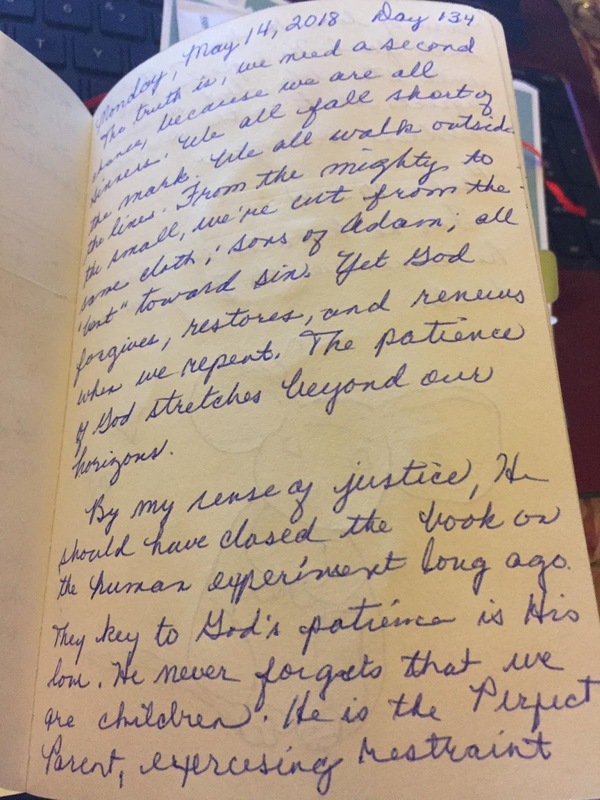 So each day I write down what I have gleaned from my Bible Study. 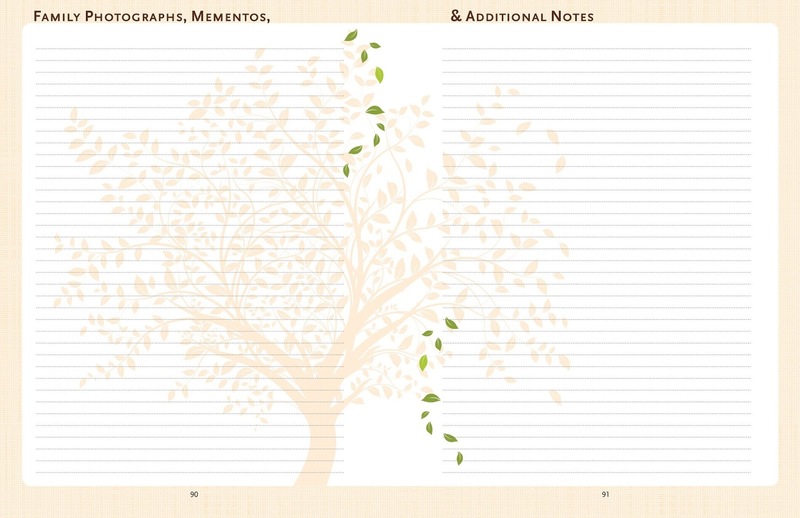 This section can take anywhere from half a page to up to 4 or 5 pages. It's the largest part of my War Book. I have this under a section marked "These Things I Know To Be True". It's kind of a spin off of Oprah Winfrey's monthly editorial page in the "O" magazine. My faith keeps me well grounded, so it's a must for me. 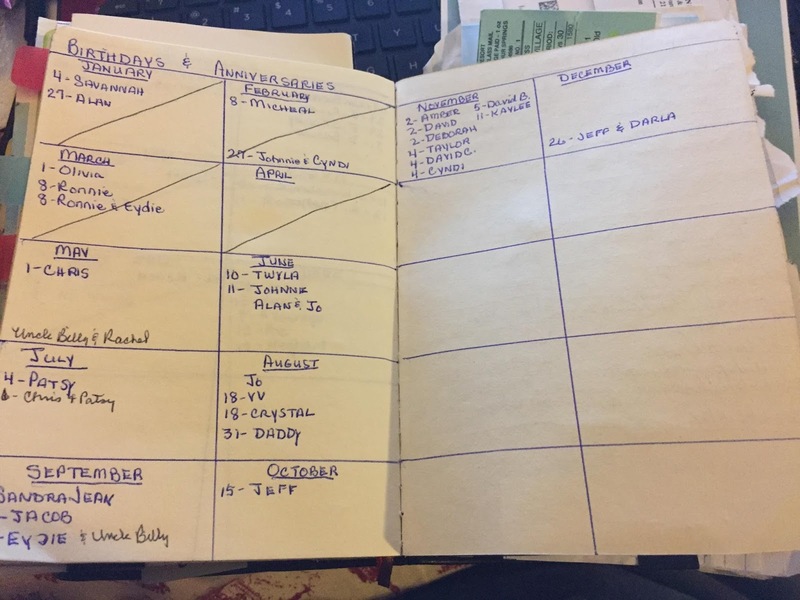 I also keep a list of family birthdays and anniversaries, so that I don't forget to send birthday or anniversary cards! As each month ends, I simply draw a line through it. In this pocket go my many receipts, and bills that I must pay. Along with contact cards. And anything special I may want to keep as a memento from the 6 months - birthday cards, special notes or drawings from my grandchildren, a card from a bouquet of flowers, a book mark from a friend, etc. 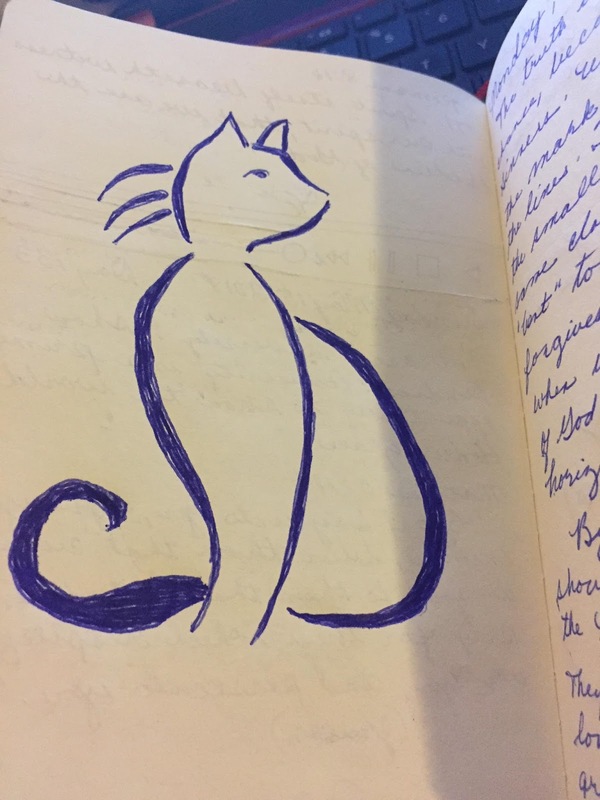 I also keep blank pages for my little doodles. Just silly little line drawings I make with ink. Nothing fancy here! Just something I do if I have to sit in on a conference or lecture that I find particularly boring. LOL No one knows if I'm intent on taking notes, or simply scribbling my little doodles! Not shown is my checkbook register. Yep. I keep it hand drawn in my War Book, because I have my War Book with me at all times, and not my check book, since I am a die-hard Debit girl! (How did we survive before the debit card?) And there are pages for my personal diary. Again I didn't picture that either. I have probably a hundred or more of these books. From the simple diaries I started at 14, to the more sophisticated War Book I carry today. 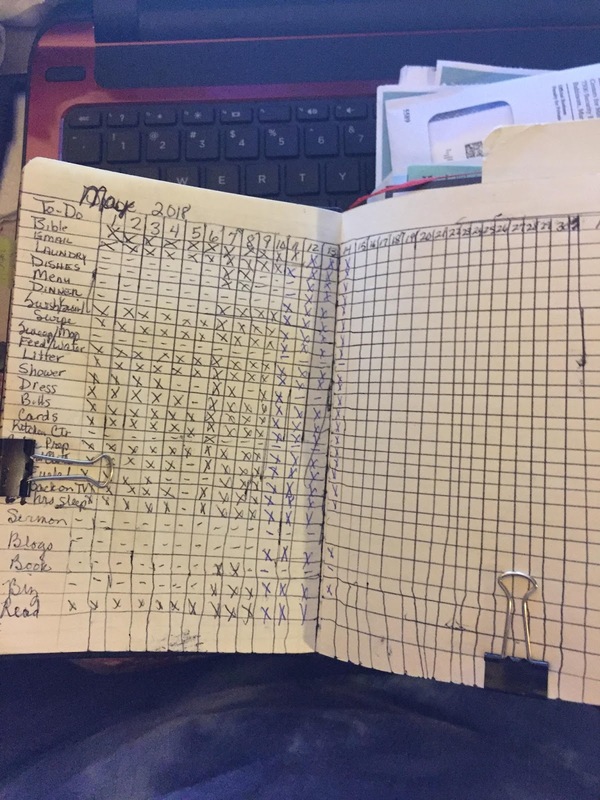 I draw out a month at a time using a ruler and templates. 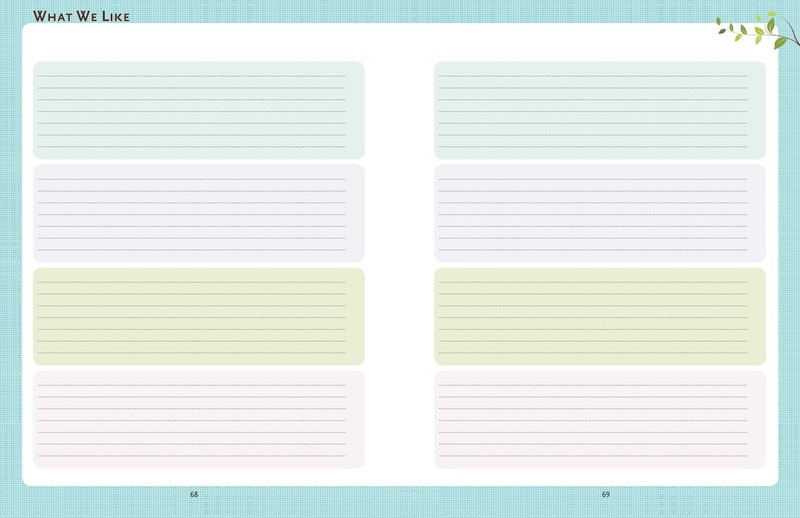 You can also get free templates to just print out your journal/planner, which may be better for some. I enjoy the creative side of doing it myself. But to each his own. The idea is to make a list of everything you need to accomplish daily. Check it off as you do it. And then nothing is overlooked. Yeah, I could probably do the same thing simply using a cell phone app. But there are some things simply more fulfilling than using an app to me. If you'd like to try the very journal I use, you can order it below directly from Amazon. 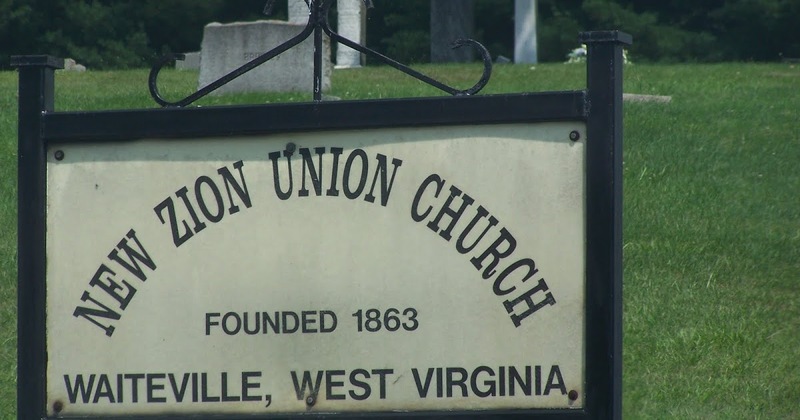 The Tri- State Genealogical & Historical Society is as a non-profit organization, operated entirely by volunteers and dedicated to preserving the history of the Tri-State area of Ohio, Pennsylvania and West Virginia. 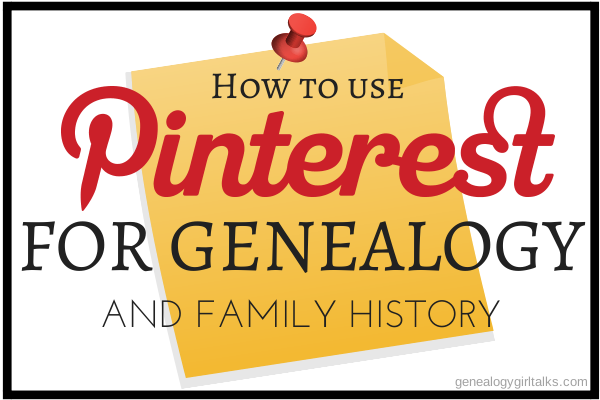 One of our major goals is to help families trace their family history. Copyright 2017 Texicanwife Publishing [Cynthia Beane Henry]. This blog may generate ad income utilizing ads or blog posts as well as accept advertising or ads for display.